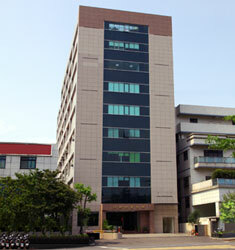 Salecom Electronics Co., Ltd. - A professional and leading manufacturer of switches. Welcome to Salecom Electronics Co., Ltd.
Salecom is a manufacturer of switches with product range includes toggle switch, rocker switch, slide switch, pushbutton switch, tact switch, key switch, dip switch and micro switch. Professional and leading manufacturer of switches. Salecom with more than 40 years of professional experience, specializes in designing and manufacturing various kinds of switches, and has been supplying an extensive range of items to leading brands worldwide. Our factory is ISO9001 and ISO14001 certified and our products carry UL, CSA, ENEC and CQC approvals for Quality Assurance. Toggle Switches include Miniature type, Sub-miniature type, Ultra-miniature type, SMT type, Sealed type and Washable type with UL and ENEC approval. Rocker Switches include Miniature type, Sub-miniature type, Illuminated type, SMT type and Sealed type with UL and ENEC approval. Slide Switches include Miniature type, Sub-miniature type, Dustproof type, Sealed type and SMT type with UL and ENEC approval.